Volkswagen is a German brand that has been around for 80 years. It is known for its quality and outstanding design. The Volkswagen Tiguan has all of the quality and design for a compact sport utility vehicle. 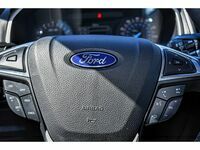 It is packed with safety and technology features. Buying a used model from Carizma Motors ensures those features, but at a lower cost to you. Our team at Carizma Motors is dedicated to get you behind the wheel of such a high-regarded brand. It has the horsepower and torque to keep the driving fun while the safety to keep peace of mind on your drive. We know it is important to find all the features you want and need. It is an investment for you future and we want to help you along the way. Keep reading below to see how a Volkswagen Tiguan can suit your needs on the road. The compact sport utility vehicle has the towing capacity up to 1,500 pounds. You can expect to fit about 73.5 cubic feet of cargo with the seat area. The Tiguan models include an automatic post-collision braking system, Tire Pressure Monitoring System (TPMS), and seven stability-enhancing systems. They also include a rear-view camera, safety cage and Intelligent Crash Response System (ICRS). The 2.0L TSI engine can get 184 horsepower and 221 pound-feet of torque. We have a variety of years to choose from. We are confident you will find everything you are looking for. If not, keep checking back. We are getting new models on our lot all the time. 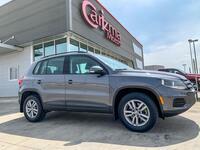 If you have any questions about the Tiguan family, we encourage you to contact our sales team at Carizma Motors. We are happy to take you through our selection and get you inside for a test drive. Interested in a Volkswagen Tiguan? Proud Partner with Texas Tech!